Major copper producers have been involved in ‘early stage discussions’ on the Carrapateena project in South Australia, says CEO Terry Burgess. OZ Minerals Ltd. will consider selling a majority stake in its planned A$3 billion ($2.7 billion) development of Australia’s largest unmined copper deposit after receiving approaches from potential partners. Major copper producers have been involved in “early stage discussions” on the Carrapateena project in South Australia, Chief Executive Officer Terry Burgess, who will be step down within the next 12 months, said today on a media call after reporting the company swung to a full-year net loss of A$294 million. The shares rose to a four-month high in Sydney..
On the heels of more than a 4% rise in the price of gold this week, the SPDR Gold Trust (GLD +1.3%) saw a spike in gold holdings to 25.925M ounces as of Thursday, up 0.9% from the day before and the highest level since December 20. 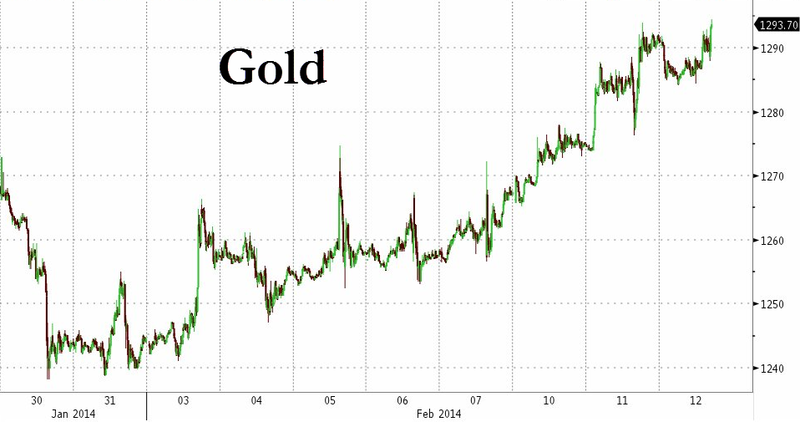 “The reduction in supply from the U.S., as these sales have now halted, is the prime reason the gold price is now rising,” he says, adding that it has nothing to do with U.S. economic factors. ETF Securities, one of the world’s leading, independent providers of Exchange Traded Commodities (ETCs), published a survey concluding that investors will continue to invest in commodities in 2014, with cyclical commodities such as platinum, palladium, and industrial metals remaining favourites..
Kurze Insights vom CEO.CA-Founder Tommy Humphreys auf der Mining Indaba Konferenz in Kapstadt, Südafrika. 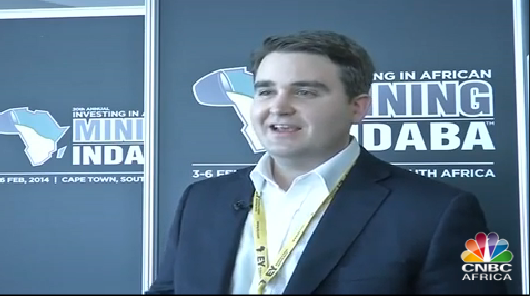 I joined CNBC Africa during the Mining Indaba convention last week in Cape Town, South Africa. Interviewer Svetlana Doneva and I discussed Canada’s leading role in mineral and energy exploration and development on that continent, which I credited to our intellectual property and technology, as well as the Canadian style of entrepreneurship, which lends itself well to the high stakes resources business. We talked about West Africa now being the world’s low risk mining jurisdiction, with government’s there doing their best to expedite permitting timelines for new mines and keeping their promises about royalties and taxes. I offered my two top picks of Canadian domiciled companies exhibiting at the Indaba conference, Endeavour Mining, which then traded at $.68 (last $.80), as well as Ivanhoe Mines (Then $1.47, last $1.54). Watch the full interview over at CNBC Africa and thanks to Sid Wahi and Svetlana Doneva for having me on the program. Gold is up 3.3% this week and headed for the biggest weekly advance since October as U.S. economic data was again worse than expected. 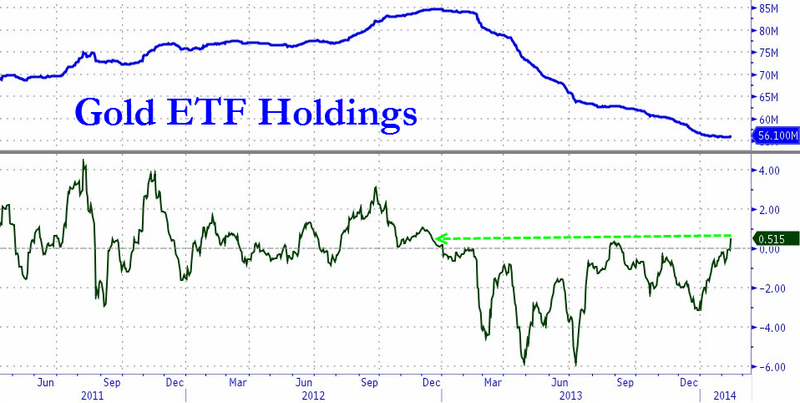 This increased safe haven demand and the biggest exchange-traded product saw holdings rise to a two-month high..
Recall what we said first thing this week when we remarked the latest surge in Chinese physical gold buying: "As we have said before: keep an eye on the "gold holdings" of the GLD and other US paper gold ETFs, whose drop in holdings for now has offset Chinese accumulation on the margin. 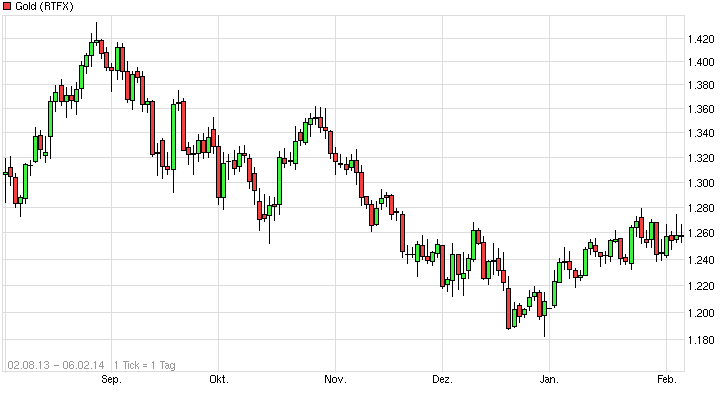 Once GLD gold holdings solidly resume their climb higher, that will be the key upward gold price inflection point." Perhaps it is a testament to the power of paper of physical gold (if only for now), that while yes, we were correct, and gold is now indeed soaring, having finally broken above its 200 DMA as we reported yesterday, all it took was the predicted rebound in gold ETP holdings which have finally ended their liquidation cycle..
Continental Gold setzt währenddessen seine eindrucksvolle Rally fort und maschiert gestern auf ein neues Jahres-Hoch. Getrieben vom frischen Goldpreis-Ausbruch sollte die Trendwende an Fahrt gewinnen und dann steht einem Homerun des vllt. lukrativsten Gold-Projekts der Welt kaum mehr etwas im Wege..
Standpunkt: Falls sich die Trendwende vollzieht, steht die Gold- und Silber-Minen-Branche und vor allem der Top-Junior-Sektor ganz, ganz am Anfang der nächsten Hausse..
Der größte kanadische Rohstoff-Konzern Teck Resources (NYE:TCK) muss nach den Finanz-Ergebnissen ein deutliches Minus verkraften. Niedrigere Kupfer- und Kohle-Preise drücken auf den Unternehmens-Gewinn und der Ausblick bleibt mit einigen Unsicherheits-Faktoren behaftet..
Teck Resources (TCK -5.8%) falls sharply after reporting a 44% drop in unadjusted Q4 earnings due to weak commodity prices, but production of coking coal, copper and zinc rose while costs continued to decline. Copper production hit a quarterly record of 105K metric tons, but TCK's realized price fell 10% Y/Y; realized prices for coal slipped 11% and zinc fell 2%. TD Securities says TCK's 2014 capital spending guidance of $2.6B exceeded the firm's expectations of $2.1B, suggesting TCK will be "substantially" more free cash flow negative this year than projected, though the weaker Canadian dollar could mitigate the impact of the higher spending. 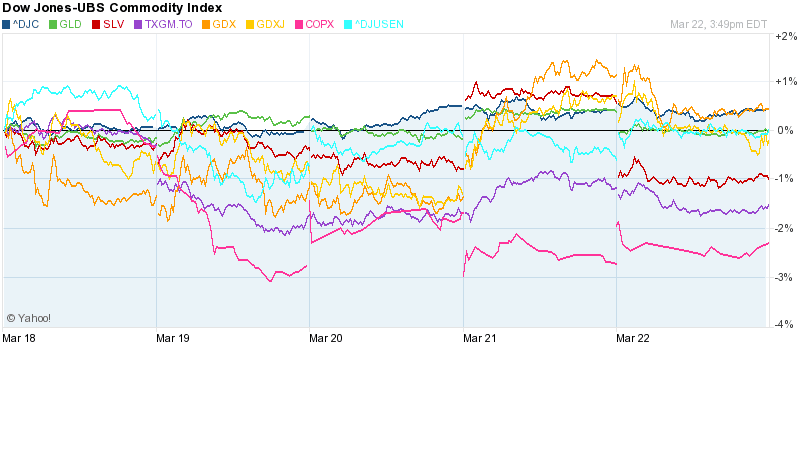 Trotz gemischter Finanz-Ergebnisse bei den führenden Goldminen-Konzernen um Barrick Gold (NYE:ABX), Goldcorp (NYE:GG), Newmont Mining (NYE:NEM), Kinross Gold (NYE:KGC), Agnico Eagle Mines (NYE:AEM) etc., zeigen sich die Goldminen-Aktien weiter mit Stärke. Der laufende Ausbruch beim Goldpreis (YTD +7,7%) wirkt natürlich unterstützend. Parallel verbessert sich das Sentiment. 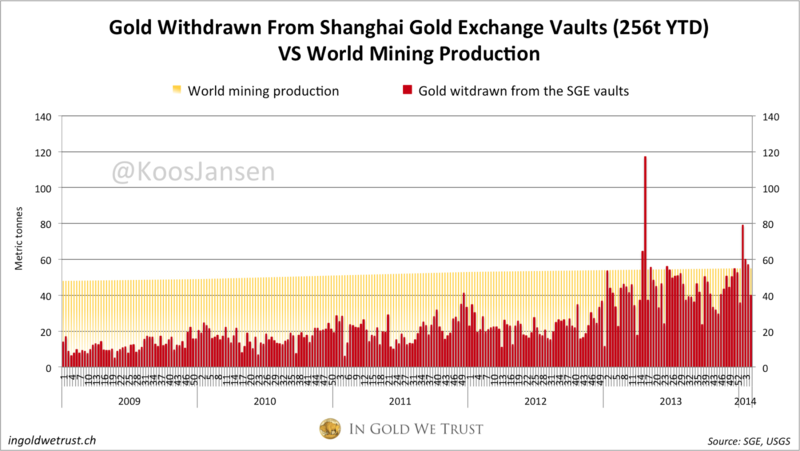 Fakt jedoch bleibt, dass die Goldminen-Produzenten bei einem Goldpreis von unter 1.300 USD/Oz und einem Silberpreis bei ca. 20 USD/Oz kaum real Geld verdienen, denn die entscheidenden Gesamt-Förderkosten (AiC) verharren auf einem hohem Niveau bei ca. 1.250 USD/Oz..
Goldcorp Inc. (GG): Q4 EPS of $0.09 misses by $0.14. Revenue of $1.2B (-14.3% Y/Y) beats by $90M. VANCOUVER, Feb. 12, 2014 /CNW/ - GOLDCORP INC. (TSX: G) (NYSE: GG) reported record fourth quarter gold production1 of 768,900 ounces, compared to gold production of 700,400 ounces for the fourth quarter of 2013. Adjusted quarterly revenues1 were $1.2 billion, generating adjusted net earnings1,2 of $74 million ($0.09 per share), compared to adjusted revenues of $1.4 billion and adjusted net earnings of $465 million ($0.57 per share), for the fourth quarter of 2013. Adjusted operating cash flow1,3 was $439 million ($0.54 per share), compared to $723 million ($0.89 per share), for the fourth quarter of 2012.. Die erheblichen Gewinneinbußen, der Produktions-Rückgang und die höheren AiSC für 2014 scheinen im Aktienkurs des weltgrößten Goldproduzenten hinreichend eingepreist zu sein. 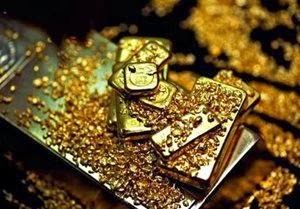 Sollte sich Major Barrick Gold (NYE:ABX) in 2014 von Pascua Lama distanzieren, könnte die sehr relevante CAPEX von rund 5 Mrd. USD in 2013 auf ca. 2,5 Mrd. USD in diesem Jahr erheblich fallen und die Finanzlage bedeutend entspannen..
Barrick Gold (ABX) +1.5% premarket despite reporting an unadjusted $2.83B Q4 loss as it took $2.82B in after-tax impairment charges, including $896M for the troubled Pascua-Lama project. 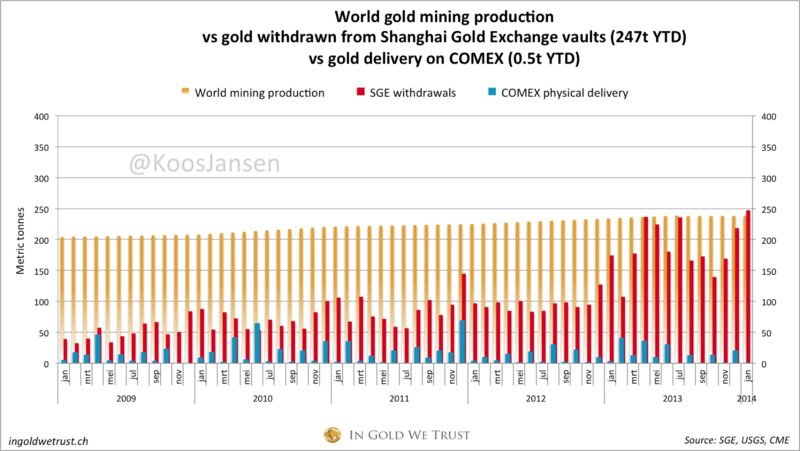 ABX anticipates 2014 gold production of 6M-6.5M oz. vs. 7.2M oz. in 2013, due to sales of non-core assets and the company's new focus on mining high-margin ounces in a low-price environment instead of just maximizing output; the production drop is within analyst expectations. ABX cuts reserves 26% Y/Y to 104.1M oz. 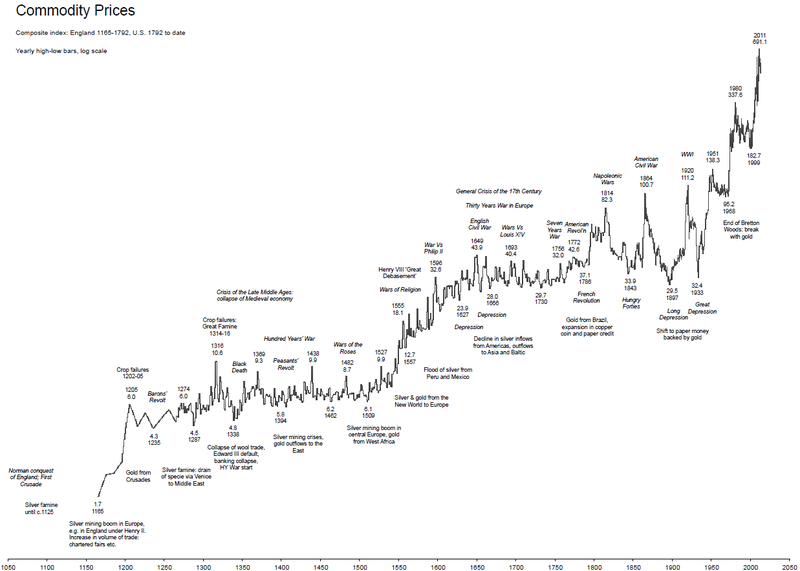 as it reduced the gold price used to calculate them to $1,100/oz. from 1,500 last year. Through all the troubles, ABX's mines are operating well: Gold cost guidance is the lowest among senior producers, with all-in sustaining costs seen at $920-$980/oz. in 2014 after $899/oz. in Q4. 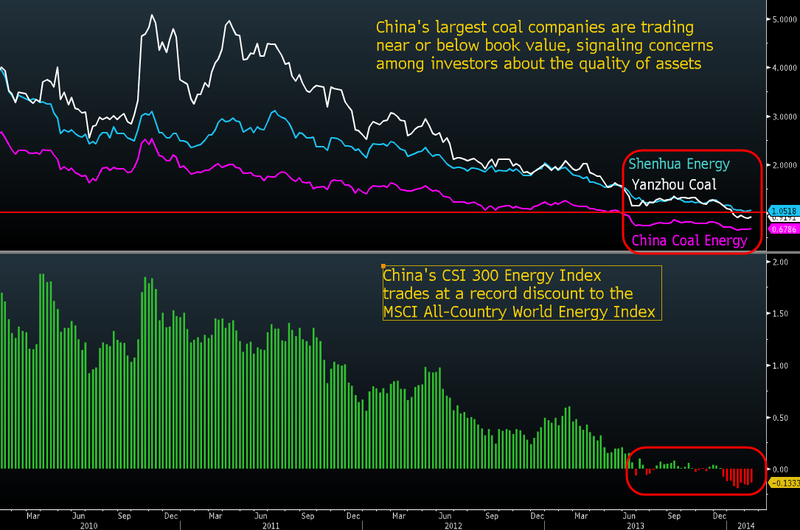 Capital spending totaled ~$5B in 2013, but is expected to fall to $2.4B-$2.7B this year with the idling of Pascua-Lama. 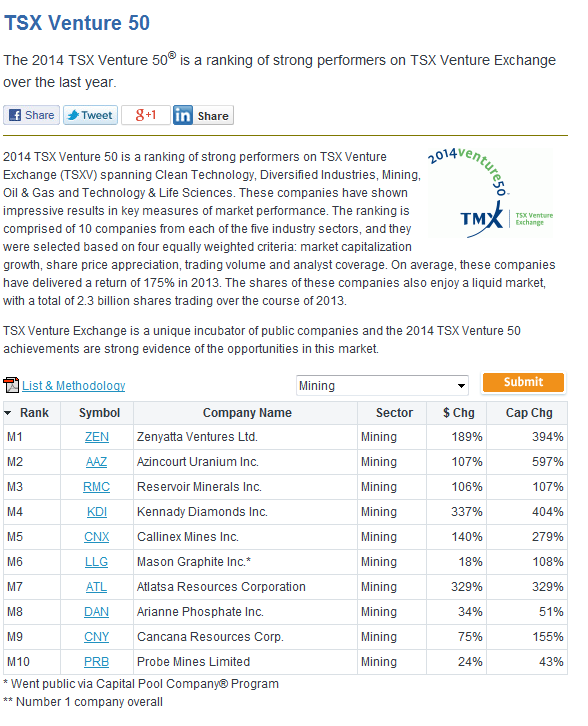 Barrick Gold Corporation (ABX): Q4 EPS of $0.37 misses by $0.04. Revenue of $2.92B (-29.6% Y/Y) beats by $20M. 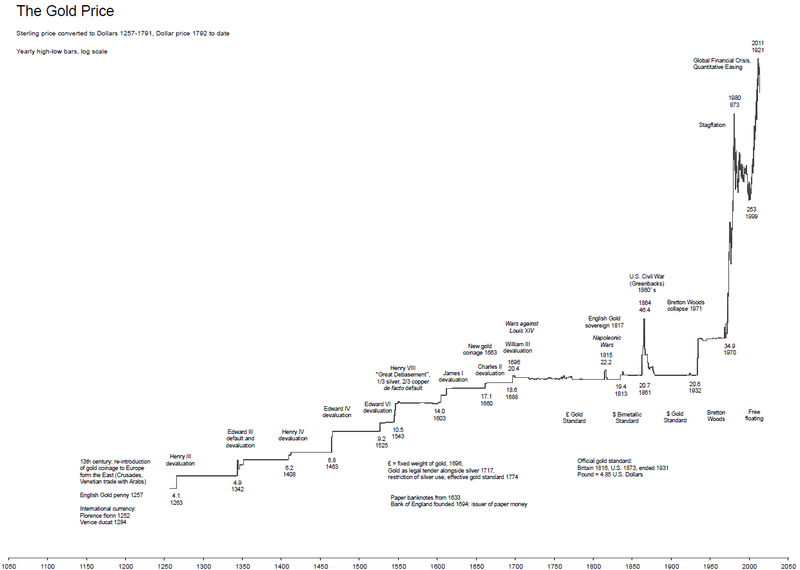 These financial industry giants lived through all the wealth cycles of the past 100 years and more. What used to be long term wealth investments evolved to the day-trading, making money activities, with a top in the year 2000. Then the financial industry morphed rapidly into the absurd High Frequency Trading. All wealth is now a spooky derivative of what it once was. 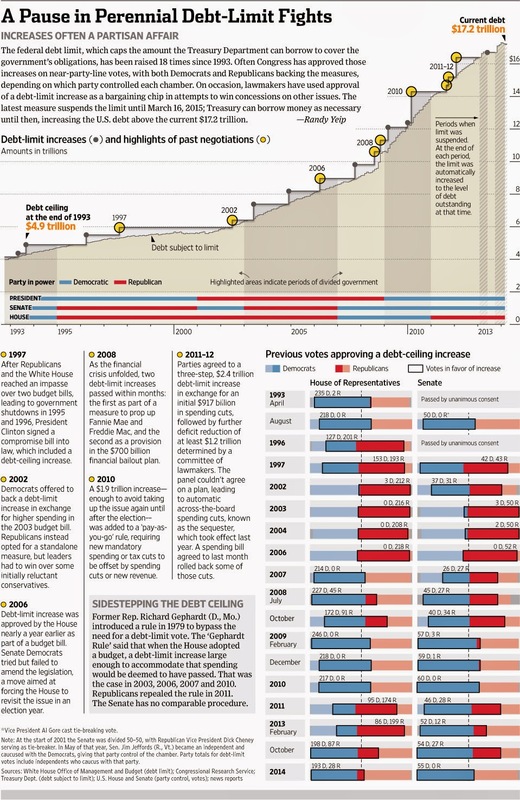 Debt rules! Die lockere Geldpolitik und neue Bankenregeln bergen große Gefahren für Anleger. Davon ist Goldman-Sachs-President Gary Cohn überzeugt. Im Interview mit der Digitalzeitung Handelsblatt Live erläutert er seine Sorgen. Gary Cohn, der President der US-Investmentbank Goldman Sachs, fürchtet, dass die Regulierungsoffensive nach der Finanzkrise zu gefährlichen Nebenwirkungen führen wird. „Die Regeln werden die Art, wie wir unser Geschäft betreiben und wie Banken Kapital einsetzen fundamental verändern. Die Liquidität nimmt ab, und das wird unsere Kunden treffen, die Endnutzer und die Verbraucher“, sagte er im Interview mit der Digitalzeitung Handelsblatt Live (Freitagsausgabe). Cohn warnt, dass sich das wahre Ausmaß der negativen Folgen der Regulierung erst zeigen wird, wenn die Notenbanken ihre ultralockere Geldpolitik zurückfahren..
LIMA (Reuters) – A crackdown on illegally mined gold in Peru has nearly frozen shipments from shell companies and will likely cut overall exports of the precious metal by 25 percent this year, officials said on Tuesday..
Two weeks ago we learned what many had already known just by extrapolating simple trends: in 2013 Chinese net imports of gold from Hong Kong alone rose to over 1000 tons of gold, or 1158 to be precise - 100 tons more than China's official gold holdings of 1054 tons which have not "budged" in the past four years - following another significant net monthly import of 94.8 tons of the precious metal in December (and 126.6 gross). 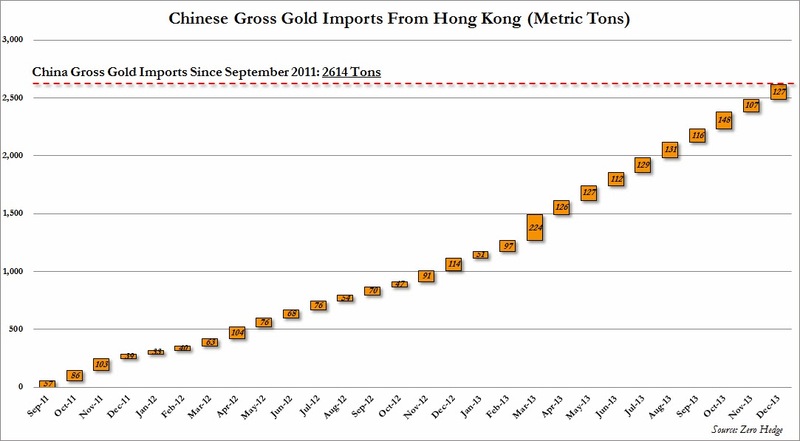 This means total gold imports in 2013 was more than double the 557 tons imported in 2012, and as a result China has now officially surpassed India as the world's biggest buyer of gold (although the title may swing back to India once gold price controls are relaxed, or if the government were to count all the gold smuggled into the country via illegal channels)..
Shares of China’s biggest listed coal producers have dropped to their lowest valuations on record as falling fuel prices make it harder to repay debt..
China's imports of crude oil, iron ore and copper hit record highs in January, though some of the unexpected strength was put down to stockpiling. 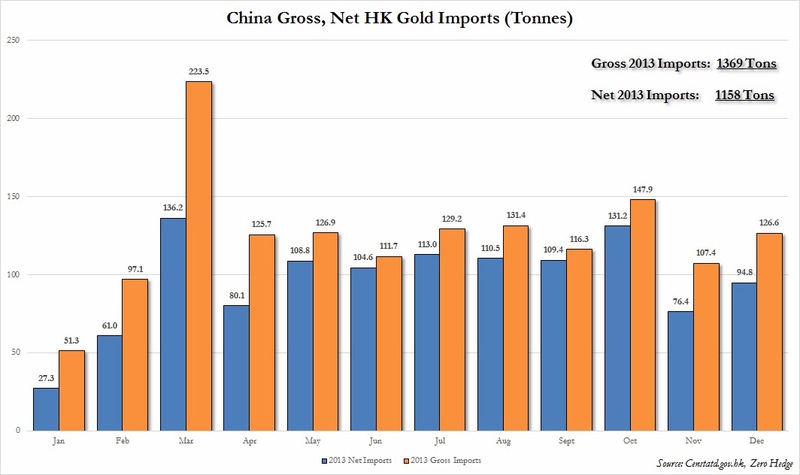 China's imports of crude oil, iron ore and copper hit record highs in January, though some of the unexpected strength was put down to stockpiling ahead of the Lunar New Year holidays rather than underlying strength in consumption.. Under pressure from an activist shareholder, Cliffs Natural Resources Inc said on Tuesday it will slash capital spending, forego a planned expansion at a key Canadian mine and shut another mine in Canada, cutting about 500 jobs..
Discoveries driven by savvy geologists get a closer look here. None of these three discoveries would have happened without geological imagination..
GDXJ setzt seine eindrucksvolle Rally seit Jahresanfang fort und bricht nun mit Rekord-Volumen über eine wichtige Marke aus (vgl. GDX, GLD). Ein sehr positives Zeichen! Wie erwartet kommt der 1. (imho feindliche!) Übernahme-Versuch von Augusta Resource (TSX:AZC) durch Großaktionär Hudbay Minerals (TSX:HBM). Und das noch vor dem entscheidenden und finalen Minen-Permit, der im zweiten Quartal 2014 folgen sollte (mit Sicherheit ganz bewusst, denn nach dem Permit würde Augusta gewiss schon ganz woanders stehen, imho nördlich von 4 CAD). Ob dieser Permit nun wirklich kommt, scheint bis dato noch nicht garantiert. Jedoch ist der frühzeitige Move von Hudbay wahrhaftig vielsagend - nein mehr als das, er spricht quasi Bände. Imho impliziert er, dass Rosemont nun zu 100% in Produktion gehen wird. Ein großer Ritterschlag für Augusta und jeden anderen fortgeschrittenen Projekt-Entwickler im herausfordernden aber dennoch soliden US-Bundes-Staat Arizona. Hudbay wird insgesamt mehr als 2/3 der f/d. Aktien (Stimmen) brauchen, damit der Deal knapp unter 3 CAD durchgeht. Der wachstumsfokussierte Kupfer-Produzent besitzt bereits Stand heute rund 16% der ausstehenden Aktien und hat einen Einstiegskurs von über 2,50 CAD. So spielen neben den Insidern, die mehr als 15% an Augusta halten, die folgenden Großaktionäre quasi eine Schlüssel-Rolle: Dundee/GCIC halten knapp 11%, Ross Beaty besitzt rund 10% und JP Morgan kommt mit allen Beteiligungen und Klienten-Holdings auf ebenfalls rund 10%. Imho wird dieser Deal zu 2,96 CAD pro Aktie nicht durchgehen. Ein höheres Übernahme-Angebot oder sogar der Einstieg eines zweiten Bieters (bpsw. 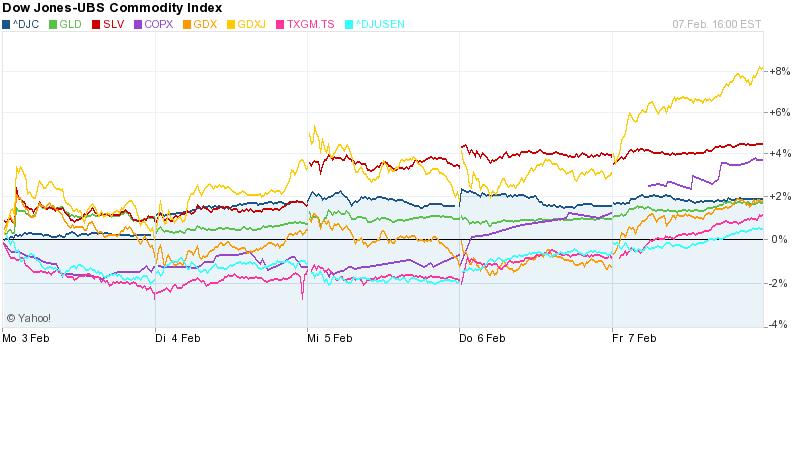 Red Kite, Freeport, Newmont..?!) ist möglich. Diese Woche wird es in jedem Fall extrem spannend. Schwestergesellschaft Wildcat Silver (TSX:WS) sollte mit dem Augusta-Deal ebenfalls kräftigen Auftrieb erhalten. Eine weitere turbulente Woche in der Minen-Branche, die wie erwartet einen uneinheitlichen Wochenausklang findet. Die Volatilität bleibt hoch und das wird sich vermutlich nicht umkehren. 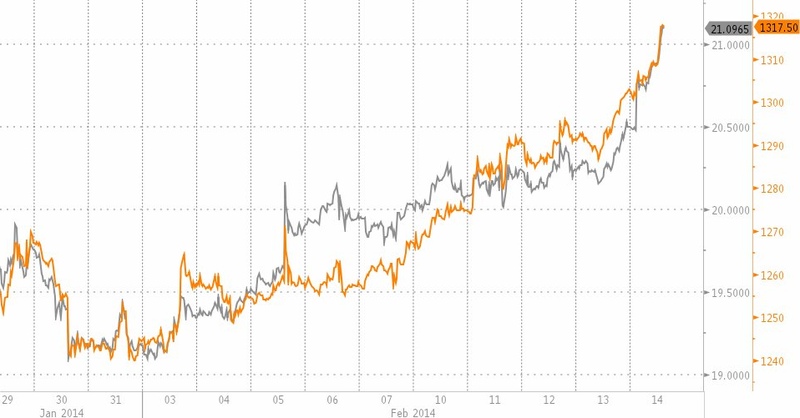 Gold formt nun schon seit Wochen einen ordentlichen Boden und zeigt sich nach langer Zeit auch nach den FED/FOMC-Meetings/Entscheidungen relativ stark. GLD und Goldpreis nähern sich der 100- und 200-Tage-Linie an. Währenddessen zeigt sich der Silberpreis (inkl. SLV) nach einem schwachen Jahresstart in den letzten Handelstagen freundlich und gewinnt an relativer Stärke. Das Gold-Silber-Ratio (GSR) steht weiterhin auf einem hohen Niveau, was die anhaltende Underperformance von Silber widerspiegelt. Nach starken Zahlen von Kupfer Major Southern Copper ziehen Kupferaktien (COPX) durch die Bank ab Wochenmitte erheblich an. Parallel startet der Kupferpreis auch eine leicht Erholung, nachdem er im Januar ordentlich gefallen war. Minenaktien (TXGM) können die Verluste vom Wochenanfang bis zum Wochenende aufholen und ziehen mit dem Gesamtmarkt ins Plus. Dasselbe Bild im Energie-Sektor. Während die hohe Volatilität beim US-Erdgas-Future letzte Woche anhält, zeigt sich der Ölpreis relativ stabil. Die führenden Öl- und Gas-Produzenten (DJUSEN) schließen die Woche nahezu unverändert ab. Das breit-diversifizierte DJ-Rohstoff-Basket (DJC) zeigt sich letzte Woche von seiner starken Seite und wird u.a. von den Kursanstiegen der Basismetalle und Agrarrohstoffe beflügelt. Bei den Goldaktien steht eine starke Woche zu Buche, doch das Bild teilt sich etwas. Während die Gold-Major (GDX) die Woche "nur" 2% im Plus abschließen, ziehen Junior-Goldminer (GDXJ) am Wochenende sehr stark an. Die Gold-Majors werden u.a. durch die relativ schwachen Zahlen inkl. Ausblick vom zweitgrößten Gold-Produzenten Newmont Mining belastet. Silberminer (SIL, SILJ) zeigen sich ebenfalls freundlich.